Taxtake is an international expert advisory firm, geared up to address U.S. cross-border taxation and transactional matters in detail. We specialize in all international aspects of the U.S. tax system with a focus on American expatriates, U.S. citizens and businesses with foreign source income and international taxpayers investing in or deriving income from sources within the USA. We have implemented a "One-Stop-Shop" business model, aiming to convey a full-range of services, including tax return preparation, accounting, bookkeeping, tax resolution and representation before the IRS, income tax planning and consultancy, complex tax law interpretations, appeals, and determinations. Taxtake comprises a team of dedicated accountants and international tax consultants who are constantly challenged to provide the best possible service to our Clients. Our firm is registered in Delaware, and we maintain a processing office in Europe. We are proud that our workforce comes from a different background, and this cultural diversity helps us better respond to the demands of our Clients. To adequately address your needs we employ licensed Certified Public Accountants (CPAs), IRS Enrolled Agents (EAs), Professional Bookkeepers, and International Tax Experts. Our employees are proud members of the American Institute of CPAs, National Association of Enrolled Agents, National Society of Tax Professionals, National Association of Tax Professionals, American Institute of Professional Bookkeepers, and international affiliates of the Chartered Institute of Taxation of the United Kingdom. The cross-border mobility of goods, services, capital, and people requires an in-depth understanding of international tax regimes, with a stress on convenience, accountability, and expertise. We respond to the demand for competent international tax professionals by providing a global one-stop solution for our Clients. From accounting and tax return preparation, to tax consultancy and representation we cover it all, aiming to confer high-quality services anytime, anywhere. We believe the success of our organization is dependent upon the people behind it. Therefore, we continuously invest in the professional education and personal development of our most valuable resource. We encourage research, creativity, efficiency and growth, and maintain the highest ethical standards, reaching beyond the benchmark of providing the best service at the best value in the marketplace. At taxtake, we provide value-for-money and integrity through core business principles that make us stand out from others. Expertise. Years of experience, thousands of Clients served, maximum satisfaction guaranteed! 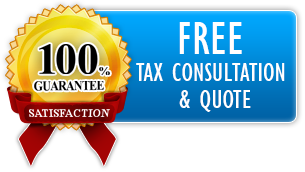 We employ licensed Certified Public Accountants (CPA), IRS regulated Enrolled Agents (EA), qualified bookkeepers, and International Tax Specialists with more than ten years of experience in accounting, income tax return preparation, tax planning, compliance, and consulting services. Communication. All our Clients are important to us! We apply a personalized approach aiming to respond proficiently and in good faith to the unique needs of our Clients. No matter how big or small the tax related issues are, we assign a dedicated personal consultant, we listen to you, and we always aim to understand your needs. Transparency. Absolute transparency of our services! We adhere to terms with no hidden fees and no contingencies. We offer flexible, value-added pricing model, aiming to ensure that the value you receive always exceeds the fees you pay. Resolution. It is never just about a possible solution. We always strive for the most effective resolution! Our "One-Stop-Shop" business concept aims to satisfy the diversified needs of our Clients. From bookkeeping and accounting to tax return preparation, consultancy, representation, planning, and advice, we have it all, anytime, anywhere. Value. We will not accept your case if we are not 100 % sure our services will exceed your expectations! We pride ourselves in having implemented a Satisfaction Guarantee with a stress on value-for-money in all aspects of our relationship with a Client. There are no exceptions and no compromise with the quality of our service. Innovation. Never miss an update and always be in control from the convenience of your home! Our cutting edge technology guarantees a flawless experience to our Clients. We are proud to offer you a unique online Client Portal that enables you to complete tax organizers, sign and exchange documents, and receive on-time notifications about the development of your case. And all that in a secure environment! We know that accords must be kept and the commitment we take towards your personal or business goals is a guiding principle embodied in our multidisciplinary Code of Conduct. We believe in our global outreach and we are proud to welcome and serve clients on five continents. We promise to answer all your questions, to exceed your expectations, to add value and share your prosperity and growth! Just wanted to give you a brief thanks for your services. It's not only the quality, speed and price that matters, with you is personal! Keep doing a great job!